Meditation is a process in which one develops a better understanding of oneself, creating a greater self-awareness of mind and body in the present moment. It is a process which draws upon yoga philosophy and breathing techniques, shifting one’s experience from the outer world to the inner world. Meditation is a journey from the outer self to the inner self. To quote, ‘It is the moment the sun appears from behind the dark grey clouds’, a day-to-day search for that one moment that keeps us inspired. How do I Practice Medication? Meditation is about realizing the self, ‘to find the connection between that and who you have taken yourself to be all this time’. It is about a realization and re-connection with your self-identity, the relationship between you and yourself. Meditation can be practiced alone or in groups. But like any exercise, one would first need to learn and nurture the skill under the guidance of an experienced teacher. Come to us for meditation practice with an open heart and open mind. You will discover the calming benefits of meditation on the clarity of the mind and calmness of the body. Meditation can help in reduction of stress levels and create a sense of inner peace. Meditation can improve your health in numerous ways like lowering your blood pressure etc. In everyday life, meditation practices have been credited for memory improvement. Meditation can help in reduction of stress levels and create a sense of inner peace. It balances our emotions and helps us deal with physical and psychological distress. Studies have proven that meditation can improve your health in numerous ways, ranging from strengthening your immune system to lowering your blood pressure and reduction of chronic pain. In everyday life, meditation practices have been credited for memory improvement, cultivating more loving relationships, reduction of impulsive behaviour and encouraging a general peace of mind. For beginners, guided meditation is recommended because self-meditation requires some effort and regular, prolonged practice. Teachers will guide you through a meditation session and help you find that state of inner calm and peace, one step at a time. What techniques do we teach? We believe that the practice of meditation is unique for each individual and everyone should adopt a technique suited for their personalities . We encourage students to explore, observe and try to find a technique that suits them best amongst a supportive network of fellow practitioners. The ancient sages have said that there is greater peace in the vicinity of the enlightened and studies have long shown that meditation in groups creates connections and deepens practice. Practitioners are able to tap into a more profound silence than what they are able to experience on their own. Here at Yoga Mala, our instructors believe in clarity and simplicity of instruction to encourage students’ practices and meditative experience. 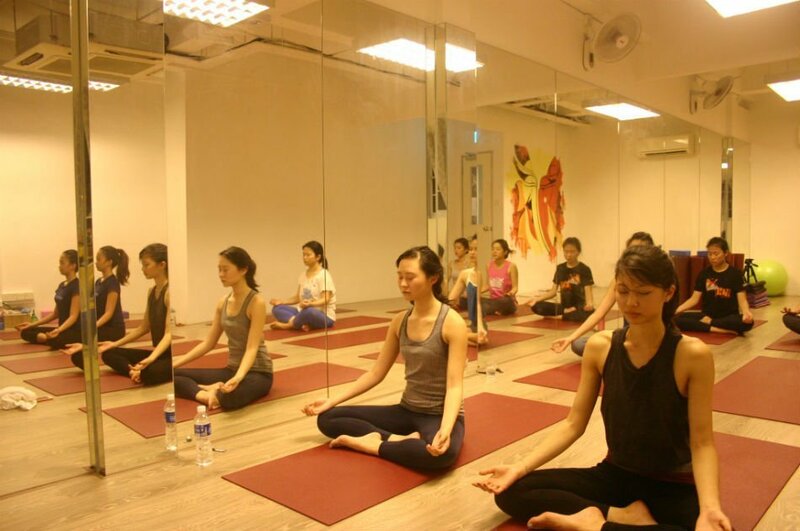 Our instruction draws on yoga philosophy and breathing techniques with classes designed for the students’ progressive learning, individual practice enhancement and accelerating the meditative experience. Yoga Mala offers guidance in a range of techniques that will assist you in developing your own meditation practice. We encourage group meditations in our studio because we believe that the power of meditation is amplified in a group, where we are able to reinforce our intentions and incorporate it into our habits to make it a daily practice. It is about commitment, it is about a lifestyle, it is about creating more possibilities for yourself and the people around you. Yoga Mala is happy to welcome into our space, both the curious; to discover the benefits of meditation, and the initiated; to build upon their practice with a supportive network of fellow practitioners.